With its elegant metal base, which is available in several finishes, the After Eight’s gracious curves and superb ergonomics are exalted into the realm of fine, timeless design. 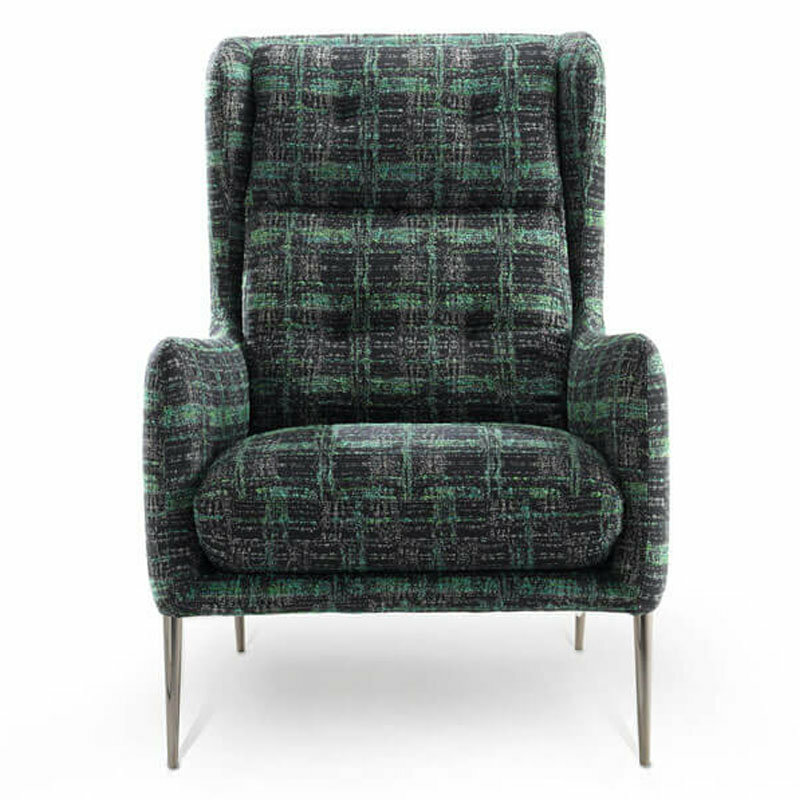 The high, elegantly quilted backrest provides prolonged, enveloping comfort. The mix of padding in polyurethane foam and Climalight (special silicone microfiber) guarantees extraordinary comfort, offering support and a look that remains unchanged over time. Available in a vast array of fabrics and leathers.